One of the highlights of your retirement years is the newfound flexibility in your schedule. For the first time since beginning your career, you have the ability to travel without the worry of dwindling vacation time or the stress of timing your trips around demands at work. Despite the flexibility, however, you may find that traveling now can sometimes prove just as overwhelming as it did then. After all, you still have to pack, book your transportation, plan your activities, make reservations, and make arrangements for loved ones – pets included – that will stay at home. To help ease the anxiety these travel tasks can cause, check out this comprehensive list of apps for a traveler’s every need. If you find yourself traveling solo, some of these apps can make great traveling companions. Several apps can help streamline the planning of your trip, as well as keep all aspects of your travel plans organized. PackPoint can help if you’re always forgetting that one important item (toothpaste, deodorant, bathing suit?). It enables you to build a custom, shareable packing list based on your specific travel destination, the weather forecast at your destination on your specified dates, the duration of your trip, and your planned activities. TripIt allows you to digitally track reservations for flights, hotels, and car rentals. If you use Gmail, Yahoo Mail, or Outlook, TripIt can automatically access your reservations. No worries if you use a different email platform, though; simply forward your reservation confirmation emails to TripIt and the app will track and organize your travel information, allowing you to check your reservations, confirmation numbers, and addresses. A paid version of the app even enables you to track miles and awards points with airlines and hotels. TripCase, like TripIt, tracks all your reservations, but allows for more personal control as to how various trips are organized. For example, TripIt may treat consecutive trips as one whole trip, while TripCase allows you to differentiate each trip as its own event. This feature may be helpful if you travel for work and need to track expenses; it also could be helpful to differentiate between trips to the same location and for organizing your pictures. In addition, TripCase can communicate with your Apple Watch and Alexa devices. MyTSA could prove invaluable when it comes time to plan for airport travel. This app provides real-time airport wait times, wait time histories for various airports, and security rules, as well as tips on how to get through security checkpoints more efficiently. Google Trips might be a good option if you’re looking for something comprehensive. This app can not only track your reservations, but also offers “things to do” and a “Day Plan” feature for almost any city in the world. It can even map your must-do activities and must-see sites right down to the travel time between each location. Not only that, it works even if you don’t have access to Wi-Fi or data. TripAdvisor can help make sure you visit the highest-rated sites. Geared mostly to tourists, this app features reviews of destinations, eateries, hotels, and sites, all written by travelers who have first-hand experience of the place. It also offers a map to help you find the places you’d like to visit, as well as allowing you to make reservations directly from the app. Yelp, like TripAdvisor, features reviews written by people who have visited the destination; however, whereas TripAdvisor’s target audience is mainly tourists, Yelp caters largely to locals. If you’re looking for a little local flavor, Yelp may be your best bet. It features locations in the U.S. almost exclusively, however, so it may not prove helpful for international travel. One of the most challenging aspects of planning a trip can be booking your travel, but with the advent of apps like Kayak and Hopper, even that part of traveling is easier. KAYAK is your one-stop shopping app for perusing hundreds of sites for the best flight, hotel, car rental, and vacation package deals. You simply enter your query into the app, and it returns results from numerous sites, allowing you to compare prices, dates, and deals without having to visit every site yourself. In addition to searching for the best deals for you, Kayak features a flight tracker, a price alert option, mobile booking, special mobile-only prices, airport wait times, and terminal maps. Hopper enables you not only to book your flights, but also to buy your tickets at their least expensive prices. The app predicts with 95% accuracy when your desired flights will be the most affordable, and recommends whether you should buy now or later. If you opt to buy later based on the app’s recommendation, Hopper will monitor your desired flights and immediately alert you of any price drops so you can jump at the best opportunity. You can purchase your tickets directly through the app. A Nest Cam can help give you the peace of mind you need to truly unwind and enjoy your trip, knowing all is well on the home front. Nest Cams are available in two indoor and two outdoor models, each offering various security features, depending on the model. Some of these features include intruder alerts, facial recognition, and talk and listen capabilities. All four include 24/7 monitoring, night vision, smart phone alerts, and a three-hour snapshot history. A Nest Cam allows you to travel far and wide without missing a thing that happens at your own front door. 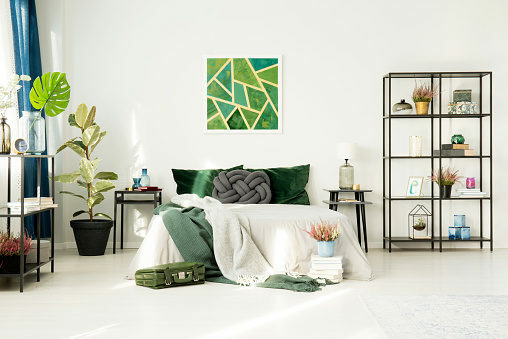 HotelTonight is an app that can help you at the last minute — whether you find yourself stranded and unexpectedly in need of an affordable night’s sleep, or had planned to let your trip unfold organically from its outset. It allows you to make a last-minute lodging reservation via the app at the best available rate. Traveling means you’ll find yourself in unfamiliar places, and navigating a town you’ve never visited before can prove challenging. Yet you don’t have to rely on paper maps or directions from the locals. These apps can make the path a little easier to navigate. Google Maps, while not perfect, is one of the leading driving directions apps available. It provides directions for multiple modes of transportation, including walking, cycling, driving, and using public transit. It also features real-time traffic updates, making it particularly useful for driving in unfamiliar areas. Waze, a GPS-based directions provider app owned by Google, is another good source for reliable routes, as well as traffic updates. Its primary draw is its ability to pinpoint the fastest possible route, allowing you to reach your destination as quickly as possible and with the fewest hassles. Waze also features real-time updates from users regarding road hazards and traffic delays. Waze can even locate the least expensive nearby gas station. Citymapper, while not as comprehensive as Google Maps in terms of the finite number of cities it covers, is particularly adept at helping you navigate public transportation systems or routes you plan to cover on foot. It presents you with multiple route options and it features detailed public transit schedules and directions. In addition to helping you find the nearest subway or bus station, it automatically updates your planned route if you miss a bus or train. Things we tend to take for granted at home may not be as easy to accomplish when we travel to a destination where the people speak a language, live in a time zone, and use a currency other than our own. There are, however, apps that can help bridge these gaps. Google Translate provides the capability to translate 103 languages — 59 if you’re offline. For 38 languages, it even offers a camera translation, which can help you decipher signage in airports or on the road, read a menu, or find the restroom. Simply take a photograph of the sign you want translated and the app can translate the text. XE Currency can help you calculate currency conversions. Simply type in a currency and amount and find out what it’s worth in the country of your choice. If you plan to travel between several countries, the app’s currency map, which allows you to view currencies in various countries on a geographical map, may prove invaluable. In addition, the app saves the most recent exchange rates, so you can use the app with some confidence even if you’re offline. WhatsApp offers a free way to communicate with friends and family as you travel the world. It features simple text messaging, group chats with up to 256 people, and voice and video calls. It will also instantly send videos and photos to your loved ones — all without SMS fees, although data charges may apply. Check with your provider. Smart Traveler is a must-have app for anyone planning international travel. It provides information directly from the U.S. State Department regarding travel alerts, warnings, and a fact sheet detailing U.S. relations with every country. It even includes the locations of every U.S. Embassy worldwide. Everyone loves a good, old-fashioned road trip, and now there are apps to help make the journey even more enjoyable. GasBuddy is a community-based app that helps you find the least expensive gas stations along your route, alerts you to predicted price increases, and can filter facilities based on features like car wash availability, restrooms, and food. In addition, the app can use its Trips feature to monitor elements of your travel that might be decreasing your car’s fuel economy and costing you gas money. For example, if you tend to accelerate aggressively at a particular intersection on your regular route, brake too hard at stop signs, etc. GasBuddy can track that. If you join Pay with GasBuddy, you can save $0.15 per gallon on an initial fill-up and $0.05 per gallon for every subsequent fill-up. You can even enter a daily drawing to win $100 worth of gas. Roadtrippers is an app designed to enhance your road trip experience by finding “off the beaten path” places for you to explore. It can help you locate points of interest you might want to visit within a set distance from your planned route, and its route planner feature estimates fuel costs. With Roadtrippers, you can plan a trip, book lodging, and virtually explore locations you may want to actually visit, and then save these desired destinations within the app for a future trip. A far cry from zooming down the freeway with nothing but fast food chains and gas stations along your route, Roadtrippers aims to turn your drive into a more intimate experience of the places you pass through. Many insurance providers now offer mobile apps for download. With these apps you can access roadside assistance and digital ID cards. You can even document an accident on the spot so you can start your claim right away. Discount apps like those from Groupon, Living Social, and AARP can also come in handy during a road trip. Groupon, currently available in 15 countries, is the number-one rated retail app for Android and iOS. It aims to help you discover “the best a city has to offer,” providing features that enable you to find interesting sites to see, points of interest to visit, things to do, and places to eat — all at a reduced cost. It even features a function that helps you find and pay for parking in the city you’re visiting. LivingSocial allows you to purchase discount deals directly from your phone. What makes it optimal for travel discounts, though, is its ability to provide you with GPS-based recommendations for events, activities, sites, and restaurants in your current location — whether that’s at home or far, far away. AARP also offers an app that provides discounts to users, wherever they go. 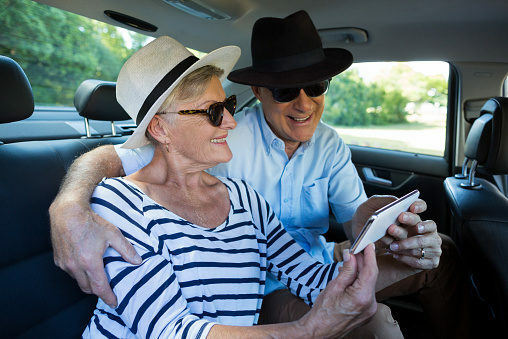 Even if you’re not an AARP member, you can avail yourself of the functions of this app, although some elements are specifically designated for members’ benefits. While travel is stimulating, it also often involves hours spent waiting in airports, riding in cars, or sitting in hotel lobbies. The right app can help make even the less thrilling aspects of traveling a little more exciting. LoungeBuddy lets you know which airport lounges you already have access to. If you don’t have access to a lounge you’d like to use, you can use LoungeBuddy to instantly purchase one-time access right from your phone – starting at just $25 USD (lounge access pass prices vary by airport). Kindle and Nook apps enable you to download books directly to your tablet or phone. Just as with an actual Kindle or Nook, their respective apps let you preview, buy, borrow, lend, and read books. Wi-Fi Finder is available in 50,000 cities worldwide and allows you to avoid exorbitant data charges when you travel by revealing nearby Wi-Fi hot spots. In some situations, the app can even safely and legally provide you with passwords to access a nearby Wi-Fi network. All you have to do is type in your location and Wi-Fi Finder will give you the nearest Wi-Fi hotspot locations. One of the biggest challenges that comes with travel is staying healthy. Despite hectic travel itineraries and changing time zones, you still have to find a way to eat reasonably healthy and to take your medications on schedule, or make sure your loved ones at home are taking theirs while you’re away. Unexpected medical emergencies or injuries can’t be discounted, either. Here are two apps to help you maintain a healthy body during your travels. Medisafe can help. This app keeps track of medication schedules and provides a notification on your phone when it’s time to take your medicine — or time to call your father back home to remind him that it’s time to take his. It will even remind you to refill your prescriptions. The Wolfram Sun Exposure Reference App provides a way for you to avoid a painful sunburn that could ruin your trip. It offers personalized information about how long your skin can safely stay in the sun based on factors you input, such as skin type, time of day, location, and the SPF of the skin protection you plan to use. It can even recommend what level of SPF you should use on a certain day and time in a specific location. Uber allows you to avoid the hassle of hailing a cab in favor of a professional, freelance driver — usually a local with intimate knowledge of your location. The driver will be able to pinpoint where you are using your phone’s GPS, and you will receive a photograph of the driver, as well as information on the vehicle, to help you avoid getting in the wrong car. You can pay using a credit card, Apple Pay, PayPal, and, in some cases, cash. In addition, the app allows you to rate your driver after your ride. Lyft is a ridesharing app similar to Uber. It offers scheduled rides, on-demand rides, and upfront pricing. You can pay for your ride within the app. Airbnb allows you to rent private homes, townhomes, apartments, or a room or rooms within a home from a local homeowner in 191 countries. You can use filters such as “single-family home,” “pet-friendly,” “events allowed,” etc. to narrow your search. You can also search by price, dates, amenities, and neighborhood. In addition to booking lodging, you can use the app to book full travel experiences with a guide who lives in the area. Rover helps you find and book the best possible dog sitter for your beloved fur baby while you’ll be gone, and allows your sitter to send photo updates of your pet to you directly through the app. You can even take advantage of GPS tracking of your dog’s walks, and the app provides potty alerts, meal alerts, and sitter message alerts to your phone. Care.com provides a one-stop shop for senior care, child care, and pet care, as well as housekeeping, for your time away. On a trip with your grandkids? You can even use the app to find a babysitter at your travel destination so you and your travel companion can enjoy a kid-free dinner. 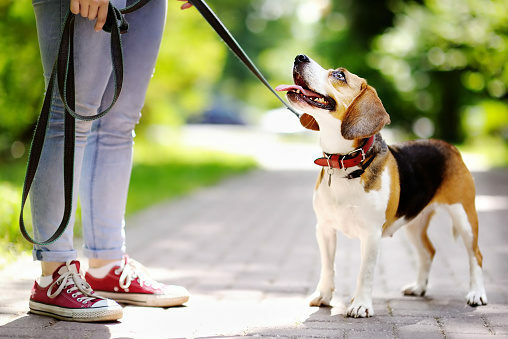 Or maybe you brought your pet on vacation -find a pet sitter who can feed and walk your dog while you enjoy a day-long excursion during your trip. Simply create a job post, and let the app instantly alert you when a potential caregiver responds. You can also search potential caregivers’ reviews, photographs, and profiles. In addition, you can pay your caregiver directly through the app. While travel can be very freeing and even educational, it inevitably comes with its share of hassles. Happily, the enrichment and memories traveling provides are almost always worth the effort — especially when you can use some of the apps above to help ease the strain of planning for and executing a trip. You can learn more tips and tricks for aging well by subscribing to the Extra Mile newsletter. Keep reading: Before you set off on your travels, know how traveling will affect your insurance coverage while you’re away from home. It’s also smart to confirm what is and isn’t covered by your existing health insurance when you’re traveling out of area (or out of the country), and whether or not travel medical insurance is worth pursuing. 5 Responses to "Travel Apps to Download Before Your Next Trip"
Thanks for your suggestion Charles! Those good versions of the translator would be very helpful especially for non-English speaking countries. Learning a few things about their language would be a good experience as well. Receive the planes ticket as well as travel risk-free. You should have mentioned the bSafeMobile distracted driving app.